God tells us that when we give, we receive, but what do we receive? God has called us to seek Him in everything. We have been called to follow in His footsteps and to follow His example. What was one of the greatest things God did? He gave us life, gave us His only Son, He gave us everything we've ever known and ever will; so why do we sometimes struggle to follow his example? Do unto others as God has done unto you. LOS ANGELES, CA (Catholic Online) - When people talk about "giving," thoughts of money often pop into our heads and we immediately recoil from donating what we have worked so hard to earn -but we shouldn't. You shall surely give to him, and your heart should not be grieved when you give to him, because for this thing the Lord your God will bless you in all your works and in all to which you put your hand. This is a great scripture to start with because it is not only a message directly from God, it explains why it is so important to give. God is aware that people "grieve" sometimes when they have to share in their wealth, but He has promised to bless you and "your works," meaning He will bless what you do for others and yourself. However God chooses to bless you, just know that blessed you will be. Isn't that a great incentive? Even if it starts a little selfishly, when you continue to give, God uses you to help His children and over time you will notice that suddenly you aren't giving because you want God to bless you, you're giving because you're making a difference in someone's life. The poor and helpless help each other (Pinterest). If you struggle with wanting to give but are financially unable to do so, don't worry! There are many ways to help others! Maybe you see the same homeless man on your way home from work or at your bus stop. Your paycheck barely pays for your bare necessities and you really couldn't spare a single dollar. But God has gifted you with a kind heart. A little research can yield information regarding local help for the hungry, the broken, the homeless, the poor. The only thing it costs you is a little time and a bit of courage to approach a stranger. You can give your time and energy to a person in need simply by informing them of different programs they might not have been aware of. Better yet, tell them about Christ and what He has done for us. 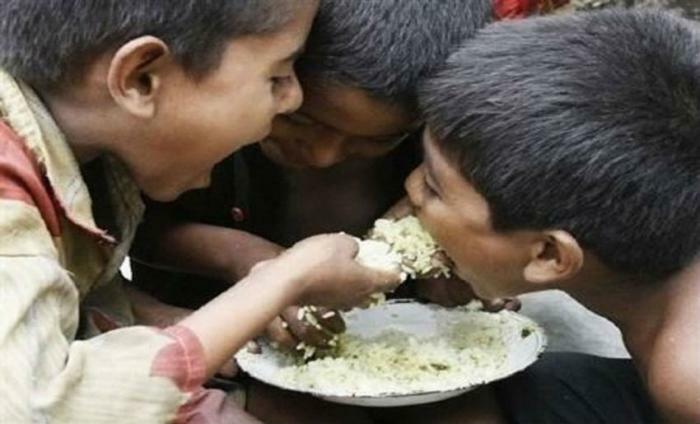 You don't need money to give, you just need to be aware of what you can do to help people. Volunteering at soup kitchens, knitting hats and blankets to donate, giving out food or bottles of water are all ways to give -and most don't require much more than your time. 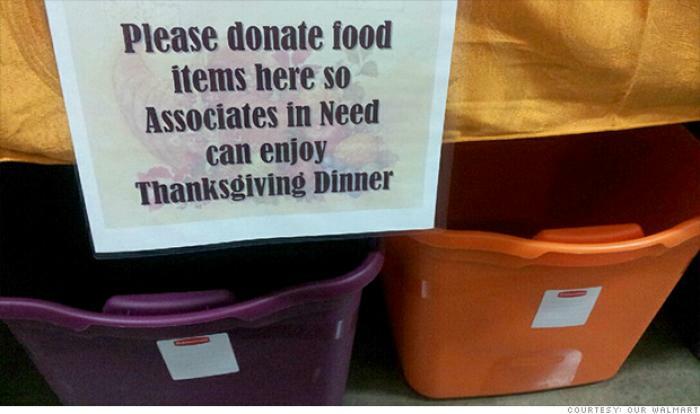 At an Ohio WalMart, employees are being asked to donate food to other employees for the holidays. In this scripture, Paul is reminding us that God has asked us to help those in need. He even reminds us of God's words that appear in Deuteronomy! In case you missed the first verse on this list, GOD BLESSES THOSE WHO BLESS OTHERS!! It's that simple! Notice neither God nor Paul say, "support the weak, the worthy, and those who appear to be worse-off than you." Who is "weak" you ask? Well, anyone unable to support themselves should be considered weak. Maybe someone wandering the streets with holes in their shoes and ragged clothing has a mental or invisible physical weakness. Maybe someone is well-dressed but it is their only good outfit and they wear it when they go out because they're too embarrassed to be seen in their well-worn outfits. Because we don't know who is suffering, open your heart and listen to God. He'll tell us when to give and often tugs at our conscience to get our attention. The next time you see someone in need, just give a little. He who loves silver will not be satisfied with silver;Nor he who loves abundance, with increase.This also is vanity. Okay, so this isn't exactly a verse that tells you to give. It doesn't mention blessings, God's Will, or offer instructions on how to give of yourself. Instead, it focuses on an important part of learning to give: Greed. Recently Pope Francis has been talking about greed and how it has corrupted the minds of men on such a large scale that the world is falling apart. The thing about greed is that there is never a point where you will ever be satisfied. 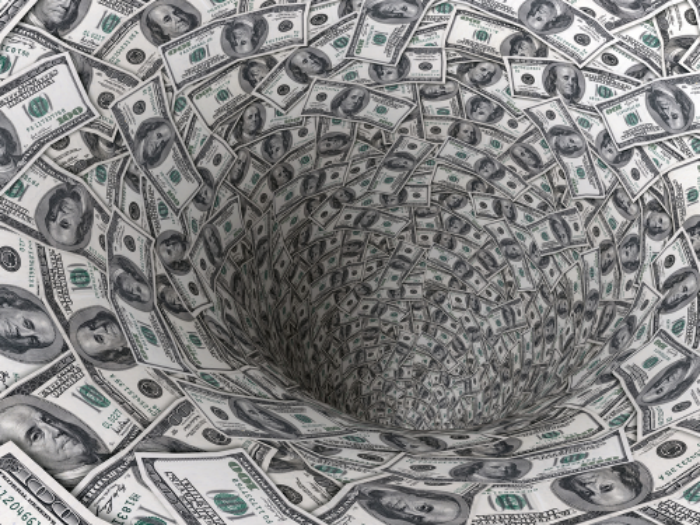 Greed is a word that describes a bottomless pit -you can spend your entire life shoveling money into it but because it can never be full. Sound familiar? That's right, there's a reason the Bible says the same thing over and over: People don't listen the first time! The bottom line is that you can only have your eyes set on one goal. Do you want that goal to be God, who has not only granted you life but also eternity -or money? Something that is constantly in flux between maturation and depreciation. Something people have killed and died for, something that offers the promise of temporary happiness? The link between greed and a heart for giving is direct and definitely easy to cross. Either you're willing to invest in helping others or you aren't. If you aren't but you want to follow God's Word, start small. Research a group you would like to help -whether that group is starving children in America, providing water in third-world countries or purchasing a meal for the homeless person you pass every day, you can help someone and make a difference. Remember, helping people is what Jesus was all about. We can definitely offer a little something every now and then, so why not do it? Thanks for reading. Please click the following links if you would like to see what the Bible has to say about love, anger, encouragement and healing.